We are now more than half way through the Change Your Skin challenge with Kiehl's - only one more week to go! It's been a week of late nights out, sleeplessness, tons of make up and the flu - all of which definitely took their toll on my skin! I've experienced a lot of dryness and my skin is a lot less bright this week, but it definitely could have been worse. 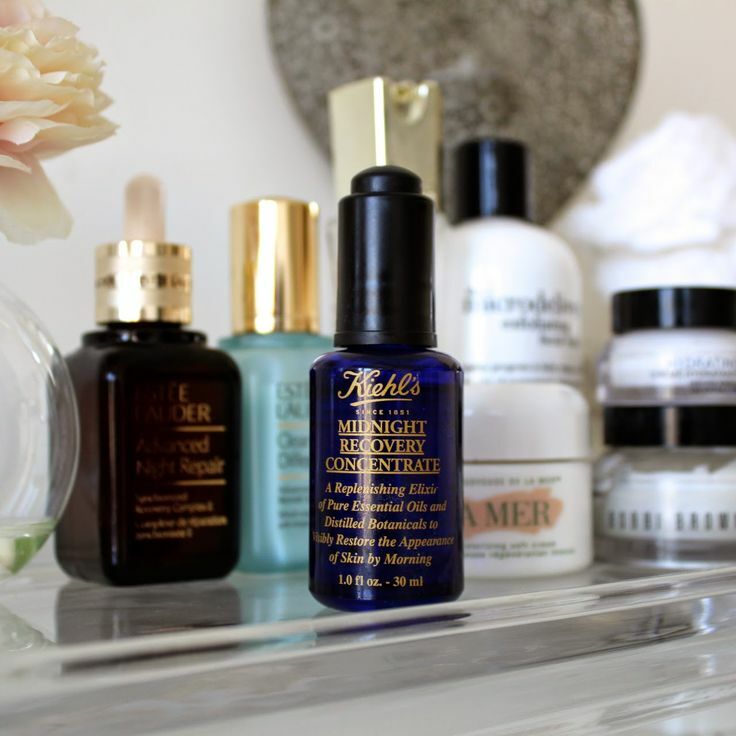 The Kiehls products turned what could have been a disaster skin week into just a bump in the road! I'm starting to see a lot more fading of my dark spots and my skin is still incredibly soft! In addition I've gotten tons of comments about how good my skin has been looking from friends and family which I think is really cool! I am so impressed with the progress I'm seeing - I will definitely continue using these products after this trial is over! I don't know what happened at the start of week 3, but I had some really bad breakouts happening and figured maybe it was because I was using too much of the product and that is was clogging my pores. I really hope this isn't the case though because I'm crazy about the products! I did find though, which is major for me, but within a couple days, my breakout was completely cleared. That never happens. Also, my routine was totally changed this week and the morning products also acted as primer for my makeup, which, by the way, works out absolutely amazing! Much like week two, I haven't noticed a massive change in my skin, but I am thrilled with what I am seeing. My skin has that continued radiance and glow it was lacking, it doesn't look tired and dull anymore, and my dryness continues to stay away! I have noticed that some of my lighter dark spots have started fading - HORAY!! I wasn't thinking it would actually work because I've tried so many products that promise to do that and don't deliver, and after week two I didn't see a change, but persistence is definitely key and I know my darker dark spots will also start diminishing over the course of using the three products. My skin really is transforming before my eyes. I can't believe it's the same skin from just three weeks ago, but so much younger, plumper, and healthier. I can't wait to see my complete results after the 28 days. Week three in skin heaven and I’m still loving these products. They are still working their magic on my skin beautifully and from 3 weeks ago to now there has been a marked improvement. But enough about what I think, see and notice about my skin, I thought I would try something new with my review and ask others what they think. A big downer appeared this week, in the form of two horrid hormonal spots on my face (thank you post-pregnancy periods). So that kind of took the shine (ha!) off the improvements in my skin since the start of the challenge. I'm not sure if things were extra oily because of the regular use of the three products, but I don't suspect so. So let's focus on a positive - the glorious smell of the Midnight Recovery Concentrate. It's like walking into an old-school apothecary - well, what I'd imagine walking into one would smell like. Herby, fragrant, and just utterly delicious - it's a real little relaxing treat at the end of the day.